The Chainguard Mount Adapter provides an alternative mounting solution from the chainguard retaining bolts suitable for specific bikes. It offers a different dispenser solution for specific bikes as specified in the bike specific install guides. 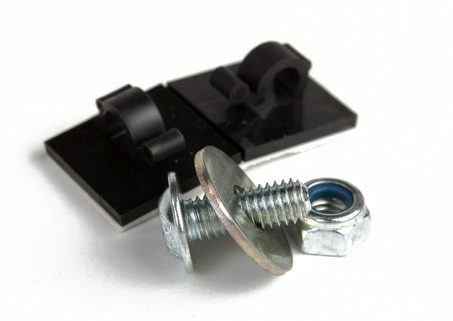 For a successful installation using this adapter, the underside of the swing arm must have a flat surface. This Adapter allows either a vSystem or an eSystem to be fitted on the Husqvarna Nuda. You can get this Adapter free of charge when you’ve registered your new vSystem or eSystem kit.